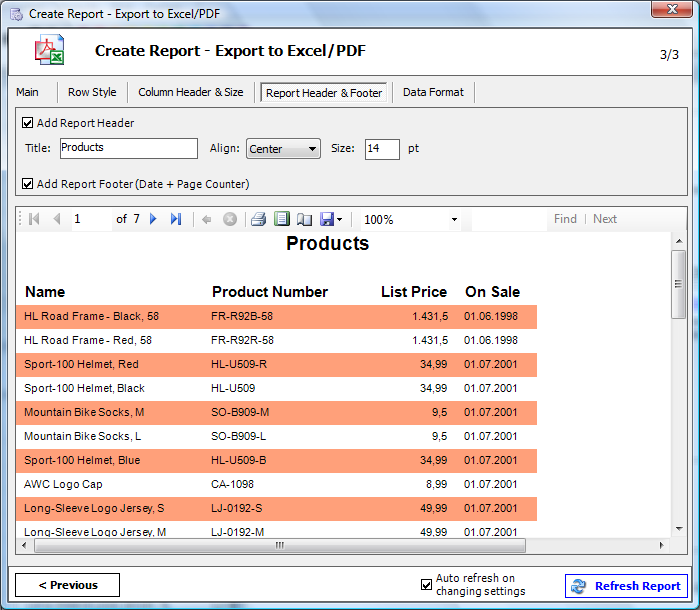 Create PDF and Excel Reports. How to check if Microsoft Report Viewer is already installed? 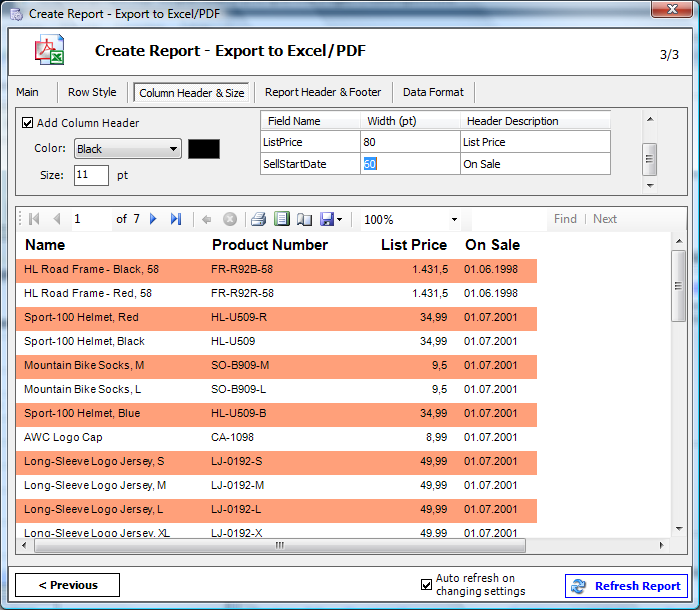 The source for your report could be a table, a view or your own SQL. 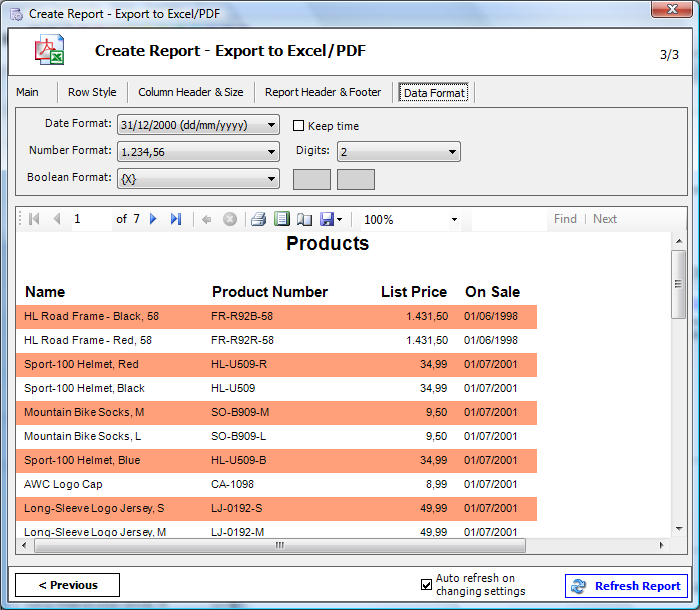 Example of first appearance using the report engine. Choose your format options for date, number and boolean values. 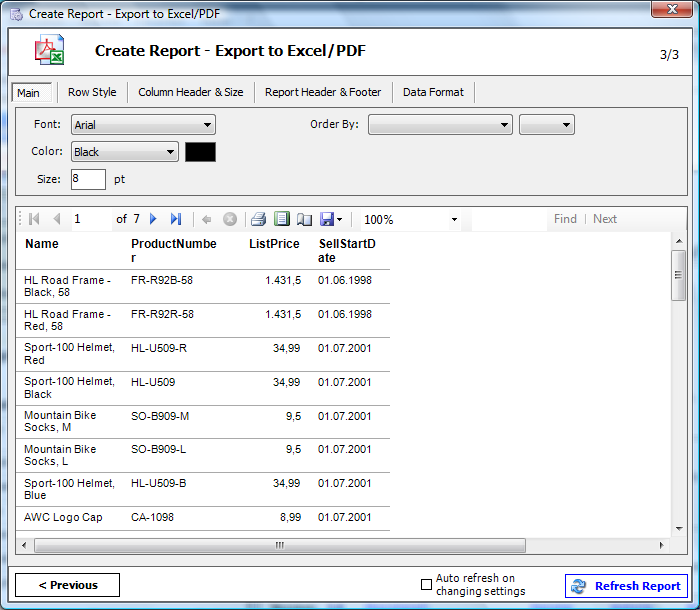 Use the Save button to export the report to PDF/Excel. 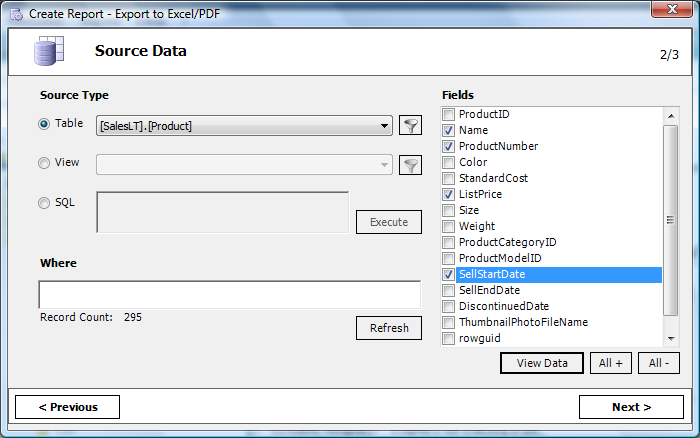 Question: Does xls export require Excel to be installed? Answer: No. 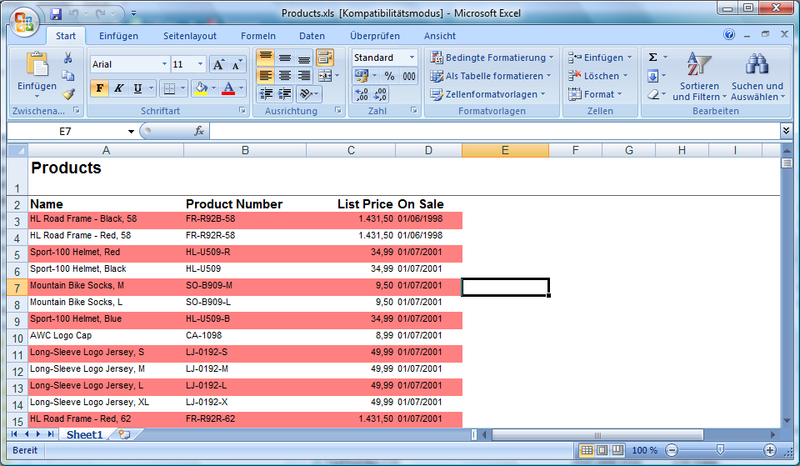 The xls export feature is independent of Excel. 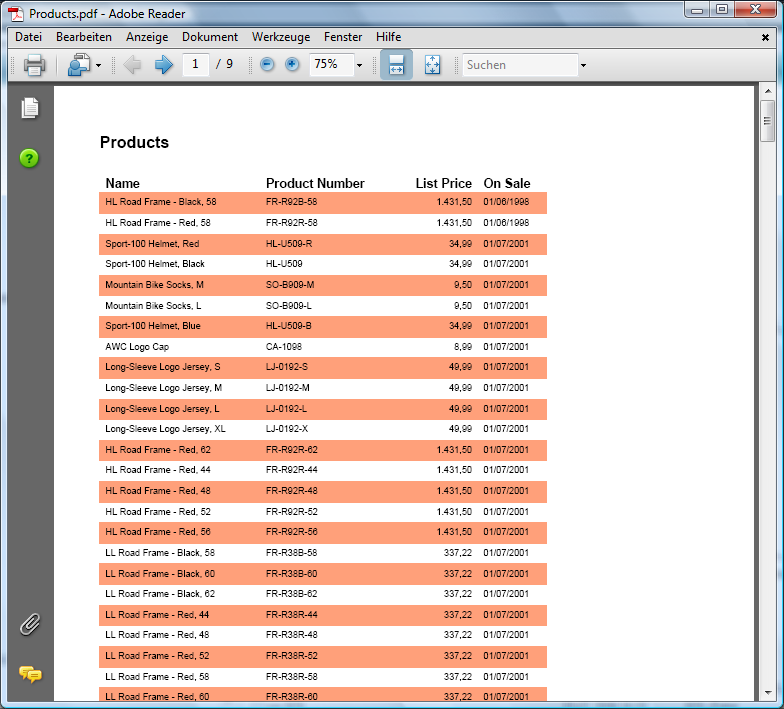 Excel is only required to view the xls file. Question: Does PDF export require an Adobe license? Answer: No. 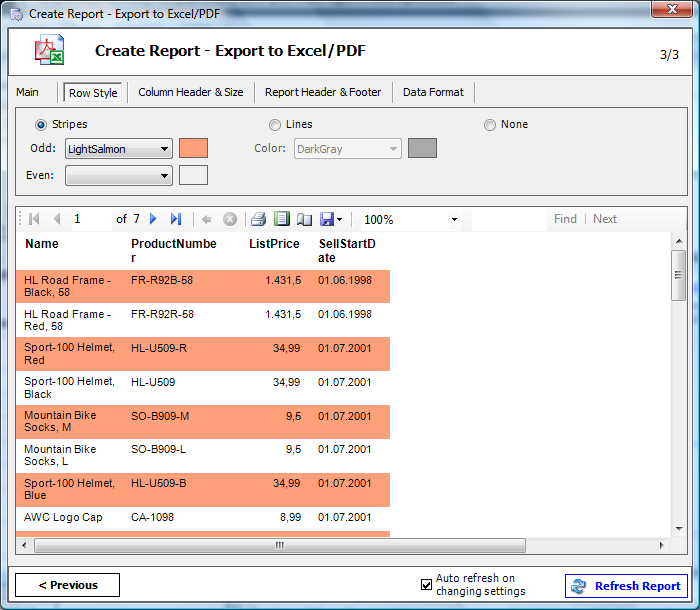 The ReportViewer control does not use any Adobe code to generate PDF files. PDF is an open format, and anyone can create PDF files without requiring a special license. Result examples for Excel and PDF. Use Windows Explorer to open the assembly folder (located in Windows\assembly, for instance C:\Windows\assembly). When the list appears, scroll through the list of installed assemblies. If you see Microsoft.ReportViewer.WinForms listed, the required version is already installed and you do not need to install it again.